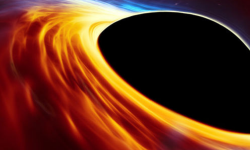 Yesterday, the international project Event Horizon Telescope revealed its first results, the first real image of a black hole. This project involves numerous observatories spread over several continents. It uses the technique of interferometry. Interferometry makes it possible to use several observatories distant from each other. By combining their observations, we can obtain some of the information that would have been produced by a single telescope with a huge aperture. In the case of the Event Horizon Telescope, the aperture would make the size of the Earth. All observatories participating in the experiment use radio interferometry, which is much simpler than optical interferometry. Setting up the Event Horizon Telescope is a technical feat that took years of work to do yesterday’s observation. Eight observatories pointed their antennas in two directions in April 2017. These observatories are located in Europe, North America, South America, the middle of the Pacific Ocean or Antarctica. The distance between the telescopes, coupled with the rotation of the Earth, gives a very great power of resolution. This is necessary because the targets are quite small and far apart. These targets are two supermassive black holes, one in the center of the Milky Way and one in the center of the M87 galaxy. 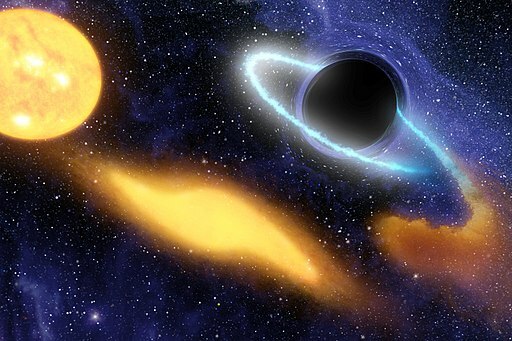 On April 10, 2019, 2 years after the sightings, the Event Horizon Telescope revealed the first image of a black hole.